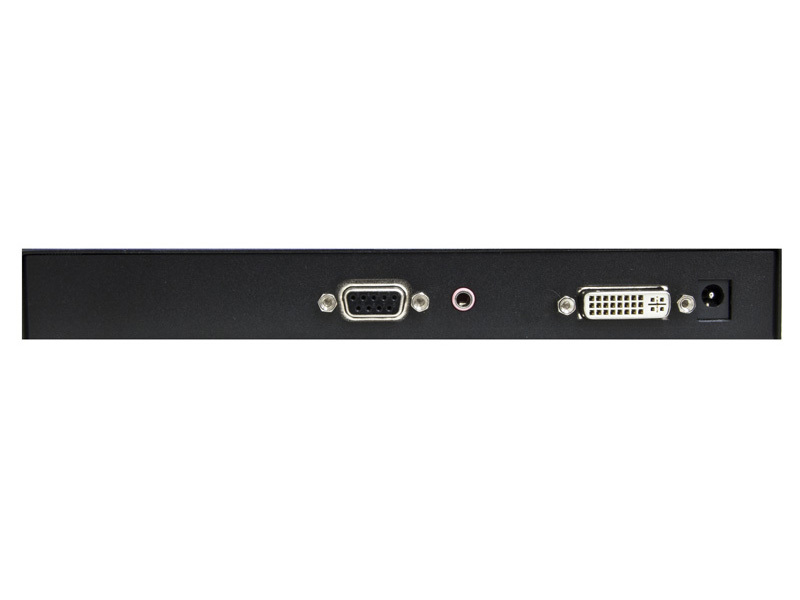 Extend DVI-D, RS232, USB 1.1 and stereo audio signals up to 275 feet over three CAT5 STP cables. 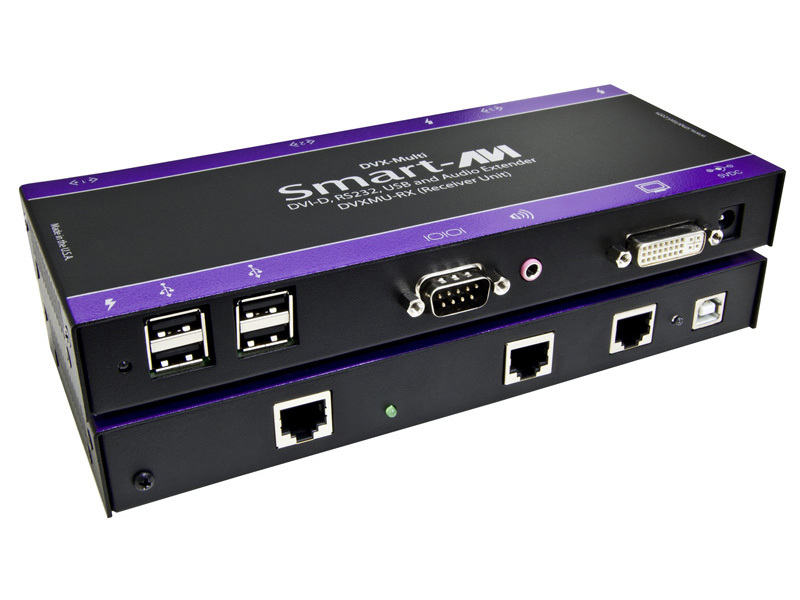 SmartAVI's DVX-Multi Extender sends 1080p (1920x1080) resolution DVI-D video, stereo audio, RS-232 and USB keyboard-video-mouse control signals up to 275 feet away using three CAT6 shielded twisted-pair (STP) cables. 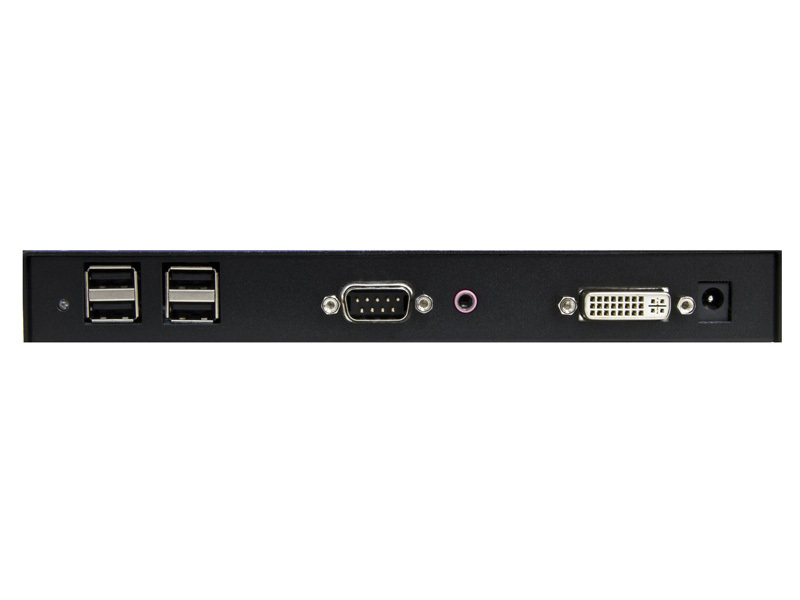 Secure KVM Extension at an Affordable Price The perfect fit for medical offices, industrial work areas, media recording studios, and even home entertainment applications, the DVX-Multi is a robust signal extending tool that keeps systems connected in even the most space-starved environments. Better yet, its three STP CAT5 cables ensure KVM control of remote systems is secure, even from a distance. It's a cost-effective, powerful, and plug-and-play simple! Presentations DVX-Ultra enhances any presentation from commercial products to corporate financial data. It can be used in show rooms, board rooms, trade shows and window displays. Data Broadcasting Data such as news, stock prices, sports results, and flight information can be broadcast in real time to various monitors and/or speakers. Learning and Training DVX-Ultra can be used in educational presentations, in schools and in other training facilities. Additional Applications DVX Plus can also be used in the following applications; Security, PC Networking, Conference Center Systems, Point of Sale, Camera Surveillance, Control Room Systems, and many more.